It seems like every day there’s a new diet that emerges onto the scene. Sometimes, they are legitimate and can really help you achieve your health goals. Most are fad diets trying to take advantage of people who are just trying to be healthier. So, here we give you an overview of popular diets to follow and those you shouldn’t. Intermittent fasting is less of a diet and more of a structured time approach as to when you should eat your meals. The idea behind intermittent fasting is that you have an eating window and a fasting window. This may differ depending on the type of intermittent fasting you want to do. Typically, the eating window lasts for 8-10 hours, and the fasting window is 14-16 hours. Another type of intermittent fasting includes only eating once a day and ingesting all your calories in that one meal. It really depends on what your personal preference is. For this post, let’s follow the 8-10 hour eating window and 14-16 fasting period. The popular times that most people go by consists of fasting from 8 pm to 12 pm the next day, and eating between noon and 8 pm. Once the clock strikes 8 pm, you fast again. This is popular because the majority of your fasting window is taken up by sleep. When you’re awake though, you can fill up on lots of water, tea and coffee (without milk or sugar). However, change your eating/fasting windows to whenever suits you and your lifestyle. It may take a couple of weeks for your body to adjust to fasting, but once it does, it’ll become easier. Intermittent fasting helps people curb their appetite and control their hunger. The average person will typically eat fewer calories because they have less time to eat. However, some people may find that they use intermittent fasting as an excuse to binge and eat insanely larger meals during their eating times so be wary of this. Macro counting is another one of those popular diets to follow. It refers to macronutrients which are your proteins, fats, and carbs. If It Fits Your Macros, or IIFYM for short, emphasises flexible dieting. It allows you to eat whatever you want, whenever you want, as long as it fits within your personal macro count. Every person has a different macro count, (a certain number of grams of protein, fats, and carbs), that they can eat each day according to their activity level, exercise levels and intensity, and more. This is why it is important to find your own personal macros instead of copying someone else’s. There are too many variables that come into play here. This means that if you feel like eating ice cream, as long as it fits your macros, you can eat it without feeling guilty! You can adjust the portion sizes of your other meals to accommodate your cravings. Does this mean that you’ll be able to lose weight (or gain weight if that’s your goal) following IIFYM? The answer is yes. Does this mean that you’ll be healthy? Not necessarily. Even though foods like chocolate, ice cream, and other junk food are accessible on IIFYM, try to focus on unprocessed foods to still be healthy and provide your body with the proper nutrients and minerals. There is a reason why the Mediterranean Diet has been listed as one of the best and healthiest diets. It focuses on all the good stuff such as vegetable and fruits, legumes, seafood, olive oil, and whole grains. It even allows the occasional glass of red wine as well. Because the diet is rich in fruits and vegetables, you’ll be eating plenty of fiber. It’s also full of anti-inflammatory foods and stays away from processed ones. The Mediterranean diet will reduce the risk of heart disease as well as obesity, type-2 diabetes, dementia, and Alzheimer’s. One of the best things about the Mediterranean diet is that it is sustainable long-term, which is crucial for any diet that you may follow. Unfortunately, there is a myriad of fad diets out there. Stay away from these diets as they are usually very, very restrictive and provide no long-term benefits. They will also be very difficult to maintain in the long run. While it is popular to drink a protein shake as a snack when you’re hungry, it becomes a problem when you only drink meal replacement shakes instead of eating actual meals. This is based on the belief that these shakes have fewer calories in them than actual food, therefore you will be consuming fewer calories in a day, leading to weight loss! Meal replacement shakes are not as satiating as proper meals. You’ll most likely feel a lot hungrier on this fad diet. Also, it won’t provide you with the proper nutrients and minerals that your body needs. This fad diet is founded on the belief that you can only ingest 1,200 calories per day to lose weight. While it’s true you need to be in a calorie deficit to lose weight, the actual number of calories greatly varies from person to person. Some people may eat up to 1,500, while others can eat well over 2,000 calories and still lose weight. It depends on your body type and size, the amount of activity you do, and other lifestyle factors. Following the 1,200-calorie rule does not take these individual factors into account, and it is also an extremely low number. If you’re someone who needs to eat 2,000 calories to be in a deficit, eating significantly lower at 1,200 can cause problems such as moodiness, headaches, and nutrient deficiencies. It can also increase the risk of bingeing, which can be psychologically damaging as well. Diets like meal replacement shakes are all fads because they are not sustainable long-term, and people tend to quickly put back on any weight that you may lose in the beginning. So be careful about staying away from quick fixes and too-good-to-be-true promises. Look at the other popular diets to follow instead, like macro counting. Remember that this is a slow and steady journey and that it will take time—but it will be worth it. The best way to become healthy is to make sure that you eat a nutritious diet and workout regularly. 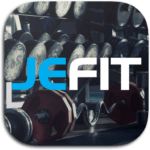 If you’re looking for a way to connect with others to learn what other popular diets to follow there are, as well as food and workout tips, then join our Jefit community. We have a members-only Facebook page where you can talk to others and motivate each other to keep up the great work! What other popular diets to follow do you suggest? What works for you? Leave us a comment below, we would love to know!